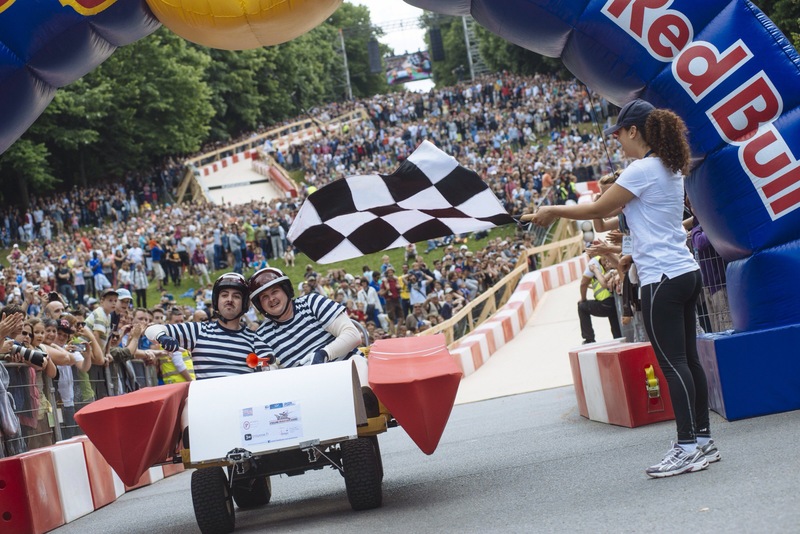 Ladies and gentlemen get ready to start your engines… well actually not. 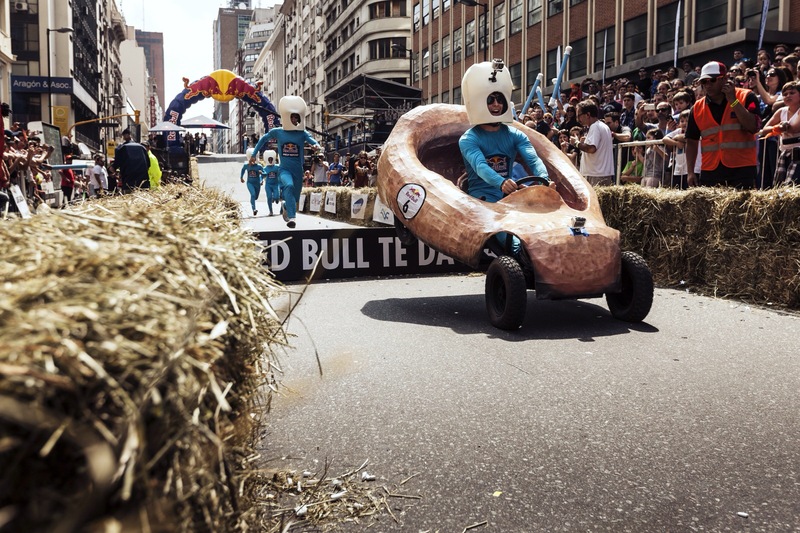 On September 6th will be held the Red Bull Soap Box Race Canada. 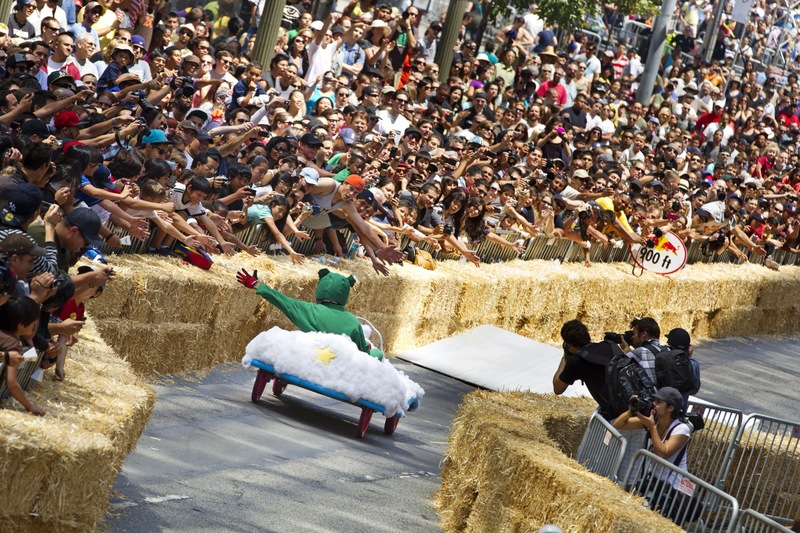 If one of your childhood dreams was to race a soap box here’s your chance. It’s free to register and a committee will review all application to pick about 45 teams. The total cash purse is 10000$ and first place gets 5000$. Acces to the site is free for spectators and participants and it should be fun to watch. The rules are simple you must be 18 or over to be a driver but can be part of the team is you’re 16 with parental consent. Drivers cannot be physically attached or enclosed in the vehicle. You’re driver costume or uniform cannot either be a liability of altering your vision or getting caught in the car. For your vehicle it cannot be more that six feet wide and twelve feet long and be at least seven inches from the ground and no taller than seven feet. It cannot weight more than 176 lbs excluding the driver. 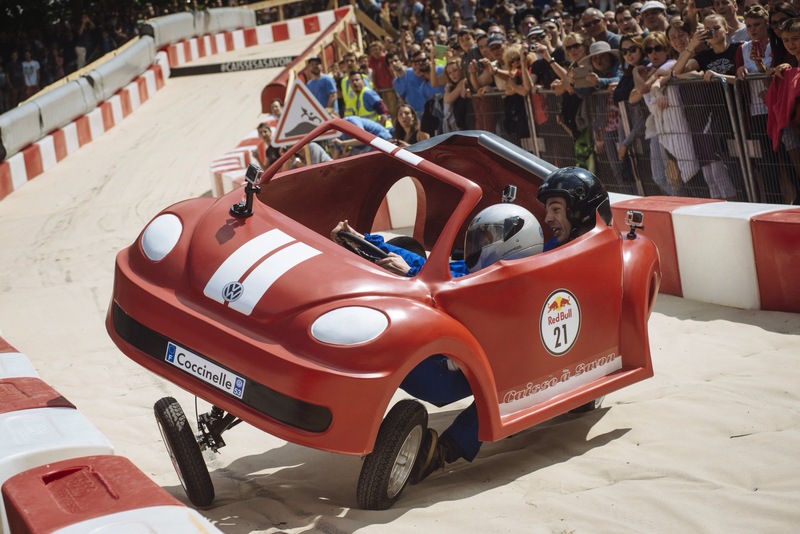 Gravity is the only source of power permitted and fully functioning breaks and steering wheel are required. Modified prefabricated cars or other vehicles are not permitted. 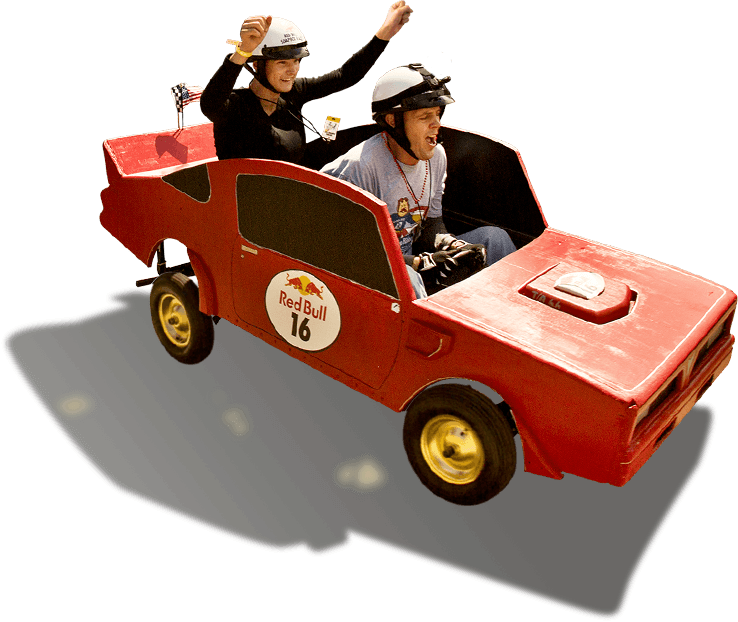 As for your team you are permitted to have a co-driver and your pit crew will only be allowed to push your vehicle to the start line.